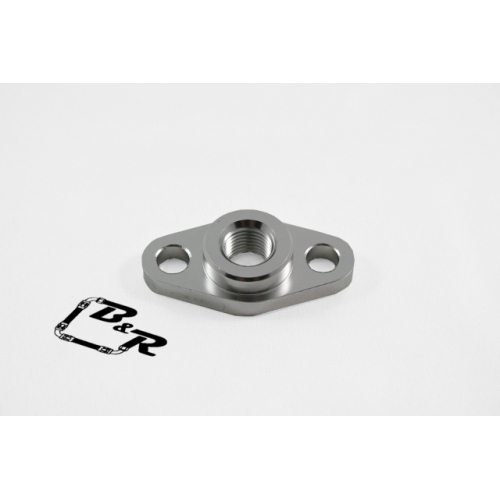 Billet aluminum oil feed flange with 1/4"npt female inlet connection. Fits any turbo with a 1.5" bolt center to bolt center spacing. Each flange comes with gasket and two 8mm bolts to attach to the turbo. Note: If the bolts do not fit its the customers responsibility to get the right bolts. We provide the 8mm bolts since its the most common.